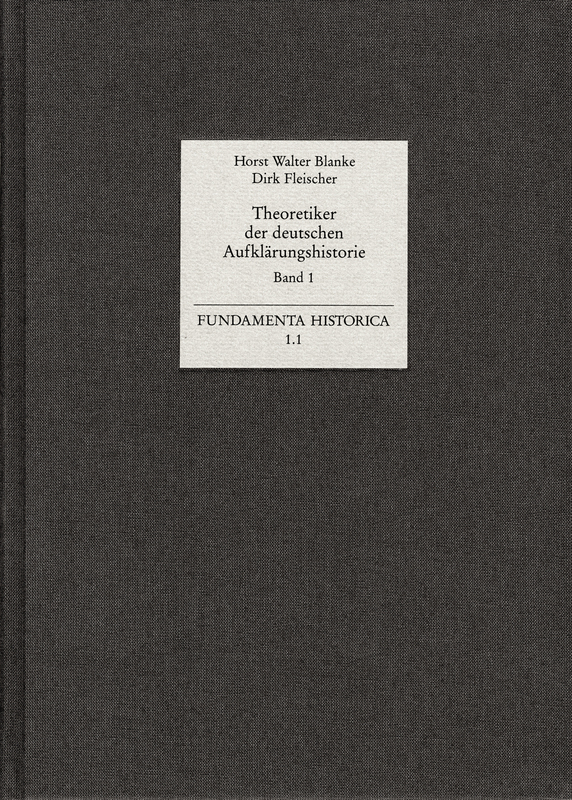 The ›Fundamenta Historica‹ series documents the self-conception and the historical development of cultural studies. It focuses on text editions with great documentary value for the theory and history of science and the humanities. In addition, our plan is to publish monographs which deal with the main problem areas in the history of cultural science, in particular history. Priority will be given to those epochs in which the process of the scientification of historical thinking took place, mainly the period following the Late Enlightenment. Apart from that, pre-modern epochs will also be taken into account. An interdisciplinary perspective is essential for the entire concept. The series will publish those texts and anthologies which have not been easily available and have been forgotten, though unjustifiedly. Each volume contains precisely edited and annotated texts, a detailed bibliography and a basic introduction in which each of the texts is put into its context in the history and theory of science or the humanities and is interpreted. It is inevitable that the collections will have to make a selection, but they are to be representative from a systematic perspective.